With the modern times, social media marketing is a widely used tool in promoting businesses. Almost everyone knows how social media can contribute to a business’ success and a bit of things on how to make it work. However, only a few have the knowledge on what not to do and the adverse effects of those social media marketing no-nos. Don’t worry. After you finish reading this, you will know what are some of the biggest social media marketing mistakes and how to avoid committing these. The operative word is SOCIAL. That means you have to be sociable in terms of updating your social media accounts on a regular basis. Fine. You have already set-up accounts for your business on all top social media sites and you have a good number of friends, fans and followers. But you can’t just leave them be. You have to constantly post, comment, correspond to all your social media audience daily or every other day. You have to devote time and effort in reading all their suggestions, comments, questions and whatnot. What draws and keeps your audience interested is constant interaction. That means that your company is not just a lifeless structure – that you understand their needs and concerns. To avoid this mistake, you may want to hire someone to monitor all your social accounts for you. Understandably, you are busy running your business and you may not have time to address all the social media concerns. 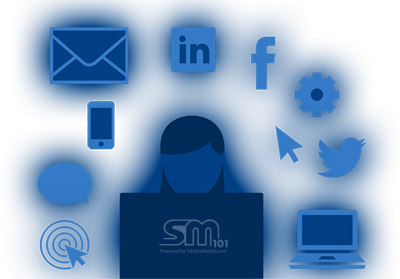 If you have someone managing your social media, you will have more time to improve your business plus your customers will feel important since they are able to communicate with your brand, online. With that, you will be able to maintain satisfied clients and be able to entertain new prospects. This is probably one of the gravest mistakes any company, big or small, could make. Ignoring even just one unhappy customer may create a big problem for you. What if he posts his rants on Twitter and Facebook – to all of his hundreds of friends? He will probably be able to influence most of these people and you have lost the opportunity to sell to those customers. Do not ignore this sole person in the hopes of him or her just quieting down. Always be courteous and respectful to all customers – happy or not. Address his or her concern publicly so the rest of your friends, followers, and fans will know that you are proactive. They will know that you are there to please them. You should handle all issues – you won’t regret it. People will support your brand because they get something from it. So you always have to have something up your sleeve – discounts, sale events, special offers, etc. Offer these regularly so people have always something to look forward to. It could just be useful tips connected to your product or service. It means that they are getting more value from your brand – not paying for you for every little thing you give them. These incentives will be shared by your social media friends to their friends – they will pass it on and on and on. You will just have to sit back and watch the amazing rippling success effect of your social media accounts. Do you want to know more how you can effectively handle your social media marketing and make it boost your business? Let’s talk!